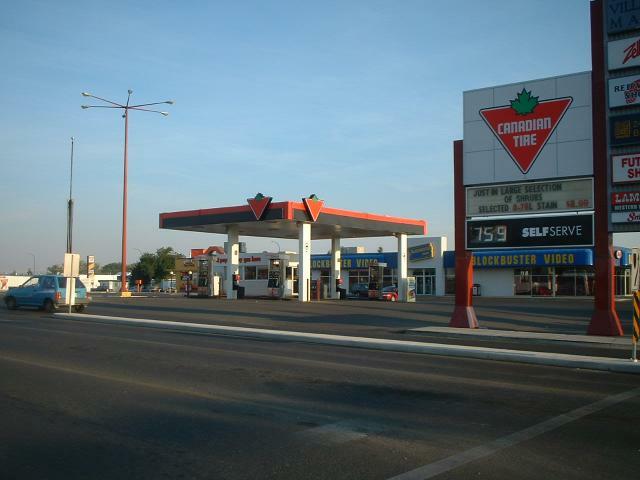 Canadian Tire in Saskatchewan. Taken Summer, 2003 by Craig Solomonson. Canadian Tire Gas Outlet on 13th Street North, Lethbridge, Alberta. 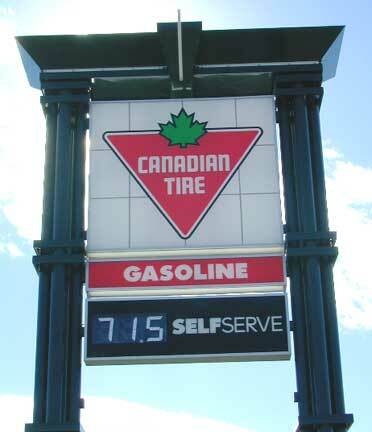 Canadian Tire corporation was fairly priced gasoline. Photo taken August 23, 2003 by Chris Spearman. Canadian Tire located in Amherstburg, Ontario. Taken Oct. 26, 2003 by Andy Songal.